There are new tools released every day that make our lives more complex, but I’ve been looking at IFTTT lately, and it’s all about making life simpler. IFTTT stands for “if this, then that.” It’s an online tool that looks for an “if” and then takes a “then” action. The most common examples you might be familiar with are Outlook inbox rules. For example, IF that creepy coworker sends an email to you, THEN it gets marked as “trash.” Or IF your boss sends you an email, THEN your rule marks it with a flag to follow up. IFTTT does that on a bigger scale. For instance, it can monitor your email account. If you receive an email with an attachment, it can automatically download the attachment to your Dropbox folder to save it. Or even simpler-you can set it to monitor the weather and send you a text message if it is raining/snowing so you don’t forget your umbrella. Or maybe you get an email from your best friend, and it sends you a text message alert as a heads up. There are hundreds of ideas for rules (or “recipes,” as they like to call them), and the only limit is your imagination. 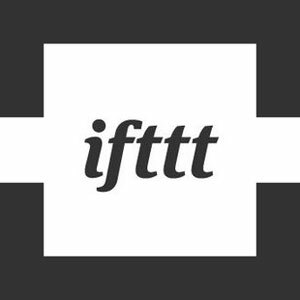 What ideas do you have to use IFTTT for recruiting and sourcing? This post previously appeared at upstartHR. Ben Eubanks is an HR professional and blogger from Huntsville, AL. During the day he works as an HR Specialist for a startup government contractor, Pinnacle Solutions , with a focus on aviation training systems. In his spare time he blogs about human resources and leadership at UpstartHR UpstartHR, serves his local SHRM chapter in North Alabama as the Social Media Director, and cares for the three special ladies in his life.